Like the original 130 year old Amdega Conservatories used to, we design and install traditional conservatories, summerhouses and orangeries. We employ craftsmen who take great pride in using traditional carpentry skills. We have many similarities with Amdega Ltd as we also build sunrooms and garden rooms, and like they were, we are also based in the UK. However, if you have arrived here looking for an Amdega Conservatory, please note we have no connection with them and they ceased trading back in 2011 (See below). Amdega did not manufacture oak conservatories and were therefore unable to install a conservatory with an oak furniture finish to the interior. And unlike Amdega, we do not print expensive colour brochures, which probably contributed to their going out of business. 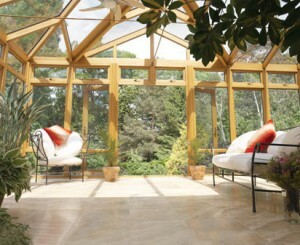 We preferr to maintain our green credentials that start by building conservatories and orangeries from wood sourced from environmentally friendly, sustainable oak forests. 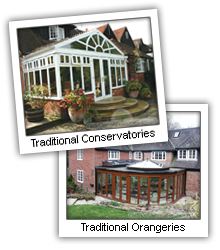 If you are comparing conservatories from different suppliers and would like to order a conservatory or orangery with the reassurance of a deposit and guarantee insurance. call us now and discover why we are frequently preferred to companies such as Amdega.